Although the Trump Administration has announced that it is suspending its Section 301 (19 U.S.C. § 2411) investigation of unfair Chinese government practices, the record to file comments on proposed additional tariffs closed on Tuesday. The Southern Shrimp Alliance submitted a second letter to the Office of the United States Trade Representative (USTR) in support of the request made by Senator John Kennedy of Louisiana that shrimp and crawfish imports from China be included in any additional tariffs placed on Chinese imports. The Southern Shrimp Alliance’s May 22nd letter also provided a rebuttal to arguments made by the National Fisheries Institute and others against the inclusion of seafood in any Section 301 tariffs. 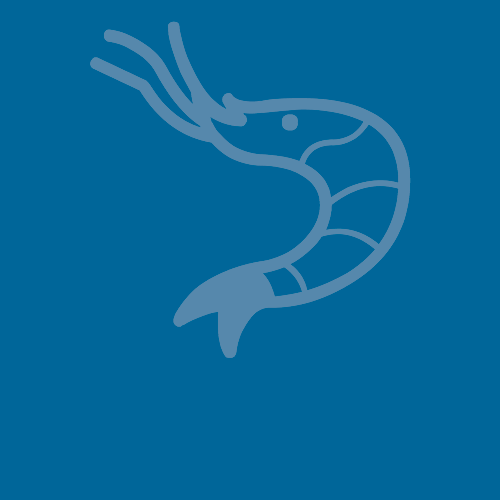 As explained in the letter, the Southern Shrimp Alliance appreciates concerns that efforts to regulate Chinese seafood imports may result in Chinese government actions that limit the access of U.S. seafood to the Chinese market. As the U.S. market has been overrun with cheap, poor quality seafood imports, the Southern Shrimp Alliance understands that the ability to export high quality American seafood to countries that tightly regulate control their markets is of great value. However, maintaining access to restricted markets does not justify keeping the U.S. market open to imports of contaminated seafood. 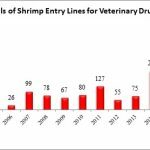 The Southern Shrimp Alliance’s letter emphasized the findings of the U.S. Government Accountability Office’s September 2017 report on seafood safety, noting that the U.S. Food and Drug Administration (FDA) was able to sample only 0.10543% of the total seafood entry lines imported into the United States in fiscal year 2015. Nevertheless, an astonishing 9.8% of the entry lines tested in fiscal year 2015 were found to contain unsafe drug residues and 12.2% of the shrimp entry lines sampled that fiscal year were found to contain unsafe drug residues. These findings corresponded with the FDA’s reported refusal of 122 entry lines of seafood from China for reasons related to veterinary drug residues in fiscal year 2015. In addition to the Southern Shrimp Alliance’s letters, broad support was voiced for Senator Kennedy’s request. Letters were filed by the Texas Shrimp Association, the Louisiana Shrimp Association, Mississippi Commercial Fisheries United, the Louisiana Band of Choctaw Indians, and the North Florida Aquaculture Association in support of including seafood in any Section 301 tariffs. In addition, commercial fishermen from Crescent City, California; Bay City, Texas; Barataria, Louisiana; Lafitte, Louisiana; Mandeville, Louisiana; New Orleans, Louisiana; and Mayport, Florida also submitted comments in support of placing additional tariffs on Chinese seafood.